Del.icio.us tag bundles "are basically just title headings to help organise your tags ... so it's an alternative to an alphabetical list ... also tags can be kept under multiple headings. A good future development would be to make these bundle headings tags themselves (also with an RSS feed) ... this way we could subscibe to topic tags or bundle tags as they would be called. 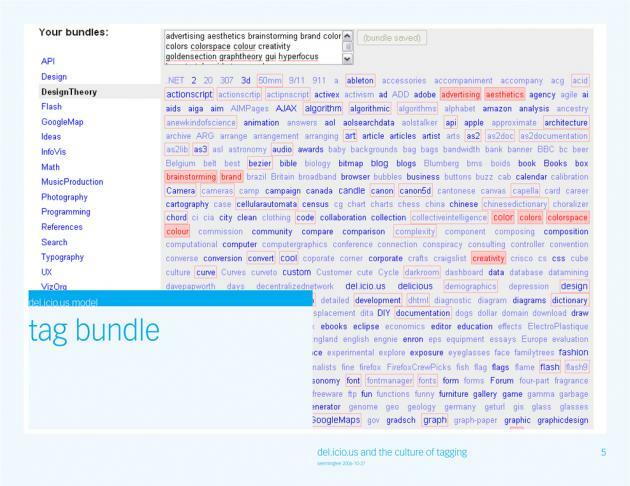 So at the moment tag bundles are for personally organising your tags into groups ... good also to view other people's accounts as their is now some context." "An artificial neural network is a kind of 'similarity machine', a device that can implicitly store the relationships between 'familiar' inputs and their correct outputs and use these stored relationships to handle novel inputs by implicitly comparing them to all of the stored inputs. Inputs and outputs take the form of 'patterns of activation' over a set of 'units', which are roughly like neurons in a real neural network. The stored associations between inputs and outputs take the form of weighted connections between the input and output units (and possibly some number of mediating 'hidden' units). These weighted connections are roughly like the synapses in a real neural network." 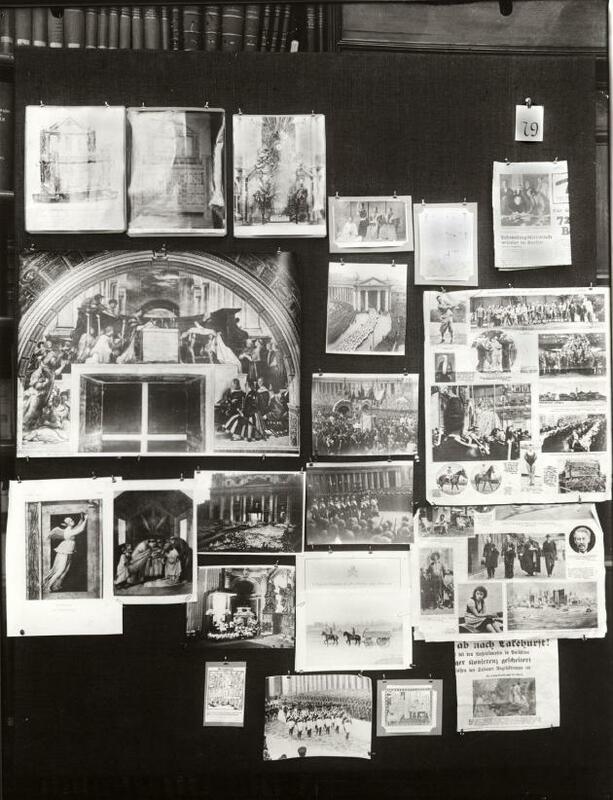 "[Aby Warburg's Mnemosyne–Atlas] is fundamentally [an] attempt to combine the philosophical with the image–historical approach [of information organisation]. Attached on wooden boards covered with black cloth are photographs of images, reproductions from books, and visual materials from newspapers and/or daily life, which Warburg arranges in such a way that they illustrate one or several thematic areas. ... [Images in the atlas are] not ordered according to visual similarity, evident in the sense of an iconographic history of style; but rather through relationships caused by an affinity for one another and the principle of good company, which let themselves be reconstructed through the study of texts." The Constellations publishing application is an instance of the Constellations Project. It is a structured repository whose organisational approach has been informed by an understanding of Mikhail Bakhtin''s Heteroglossia. In this way the application was an effort to facilitate the publication of user contributions through employing an associative and dialogic method. 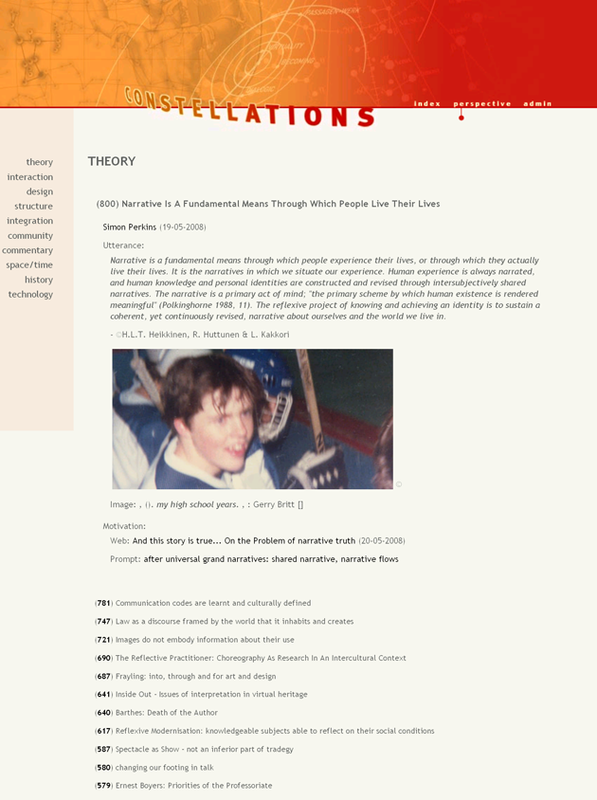 The Constellations application first went live in December 2003 and now represents the prototype for the post Web 2.0 Folksonomy version 1.0 and Folksonomy version 2.0 web applications.